"This is a new incarnation of the show, where we'll be singing across the entire canon of musical theater," Alvin said. "We'll do duets and some solos." Alvin and Michals have performed together many times over the past decade in New York. The theme of relationships and love is a current that runs through the performance. "If you're going to be inspired to write a song, a melody, lyrics, you have to imagine that the creators of these songs were inspired by love," Michals said. "Could be a broken heart, the moment when your heart opens up, it could be all the hesitation and risking taking love entails. That's our driving force. This is relationship not just in love, in relationships, but with our community as well." The Gaslight Cabaret Festival begins this weekend and runs through November. Two singers featured in the November show share their inspirations and work with contributor Steve Potter. 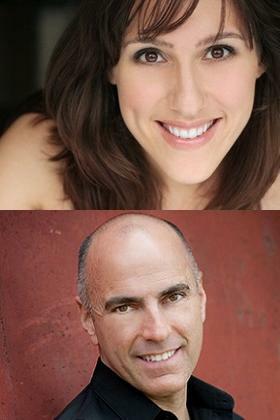 What: Gaslight Cabaret Festival Presents Farah Alvin and William Michael in "Broadway’s Greatest Hits of All Time!" When: Nov. 3-4 at 8 p.m.